NEW HEALTH & WELLNESS OFFERINGS for REALTORS® from NAR’s REALTOR Benefits® Program! NAR’s Strategic Alliances Team is pleased to announce the introduction of two new offerings which expand the REALTORS® Insurance Marketplace platform, under the Association’s REALTOR Benefits® Program: Members Telehealth, a telemedicine service plan, and Accident Deductible Protection, a supplementary health plan to major medical. Members Telehealth is a new offering that provides NAR members with convenient, 24/7/365 access to MDLIVE, a network of over 2,300 U.S. state licensed and board-certified physicians and therapists who may be accessed for non-emergency medical issues through telephone, smartphone app, web chat, or email. Telehealth plans offer time savings and convenience. No more waiting days or even weeks to see your doctor; MDLIVE doctors are always on call, including nights and weekends. Additionally, the time spent traveling to a doctor’s office or urgent care facility is eliminated. Telehealth is currently one of the biggest trends in digital medicine and is an option that top companies have been employing to assist individuals with cost-saving solutions. MDLIVE is a leading provider in the space, and NAR is excited to present NAR members with the opportunity to access quality care wherever they might be. Accident Deductible Protection is a health plan designed to supplement a major medical plan as part of a cost-saving strategy. It helps pay for out-of-pocket medical expenses incurred through an accident. It’s designed to supplement major medical insurance plans that have high out-of-pocket costs and deductibles, and includes the Members Telehealth service plan as a bonus for NAR members. Please find below a fact sheet outlining details of these new offers. Both plans bring significant savings opportunities to NAR members and their families. If you haven’t done so recently, I encourage you to explore REALTORS® Insurance Marketplace and remind your members of this valuable resource. It’s an easy to use one-stop shopping site for insurance and wellness product needs, including the privateMembers Health Insurance Exchange, which makes shopping for qualified major medical health plans quick and easy,REALTORS® Dental, SMART Short Term Health, Members Supplemental Health Plans (including REALTORS® Core Health), and Drug Card America, a free prescription drug discount card. For questions about the Marketplace or the REALTOR Benefits® Program please call me at extension 8269, or contact a member of the REALTOR Benefits® Program team listed in the “NAR Contact Information” section of the fact sheet. Dear Missouri REALTORS® Member: Today we are pleased to announce that your Missouri REALTORS® membership now includes exclusive access to Inman Select! You can now connect with the latest news and powerful insights from our industry’s premium news service.The team at Inman is just as excited about our new partnership as we are. Please watch this welcome video from Publisher, Brad Inman. You can also enjoy access to articles focused on portals, brokers, MLS, title, technology, mortgage, franchises, insider news, profiles and industry perspective offered exclusively through Inman Select. Your Inman Select account is already set up. Watch for an Inman Select Order Confirmation email later today that includes your username, and then log in at Inman.comusing the temporary password, welcome. Once complete, access the latest breaking news, here. If you need assistance getting started with your Inman Select benefits, contact Inman atcustomerservice@inman.com or call 1-800-775-4662 and press 1 to reach customer service. We hope you enjoy this new benefit of your Missouri REALTORS® membership and utilize it to stay current with industry news and trends and delivering continued value and expertise to your clients! Need support and don’t want to make a call? You can log a support ticket by emailing “support@swmobor.org” or go to our SWMOBOR website and click the “help” button. It allows you to send us any questions or concerns at ANY TIME! Just log your ticket and we’ll get back to you ASAP! We thought we would share this great resource for you to be in the know! Inman Select Membership gives teams, companies, associations and MLS organizations a way to become charter Select members, giving their employees and members special access to the breaking news, business intelligence, special reports and industry profiles that are part of the all new Inman Select program. 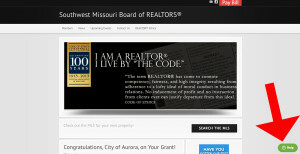 Only Missouri REALTOR® members may access this subscription through The Landing. Although the link is not yet live, we expect it within the next 30 days. 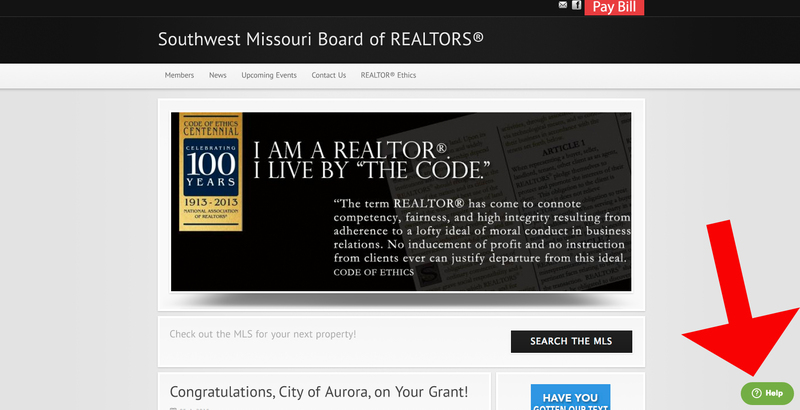 Read more about the Missouri REALTORS® updates here. Click here to visit Inman’s website. I’m pleased to inform you that applications are now available for the new REALTOR® Credit Card, the official credit card of the NATIONAL ASSOCIATION OF REALTORS®. This unique card program was created through a partnership between NAR and REALTORS® Federal Credit Union, a Division of Northwest Federal Credit Union, to offer a new choice for credit for REALTORS®, Association staff and family members. The card will be offered through NAR’s REALTOR Benefits® Program. The REALTOR® Credit Card offers a selection of designs that represent members, both as real estate practitioners and advocates for homeownership, including options that appeal to both residential and commercial practitioners, association executives and management, as well as family members. This card program also offers the option to select a message to be imprinted beneath the cardholder’s name (such as “REALTOR”, “Commercial RE”, “Association Executive”, and “Home Ownership Matters”). More details about this exciting new offering are listed below and in the attached PDF. 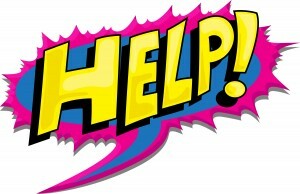 If you’re ready to apply for business and personal credit, visit REALTORSfcu.org/REALTORCreditCard. Should you have any questions about the REALTOR® Credit Card program or NAR’s REALTOR Benefits® Program, please contact me (x8269) or a member of NAR’s REALTOR Benefits® Team listed below. -Imprinted message: Options to include an imprinted tagline or title below the cardholder’s name such as “REALTOR”, “Commercial RE”, “Association Mgmt”, or “Home Ownership Matters”. -Rewards Program: Comprehensive rewards program that allows cardholders to earn reward points for purchases and redeem for cashback, travel, merchandise, event tickets, charity donations and more. Note: information is valid as of March 1, 2015 and approved for use through April 30, 2015. 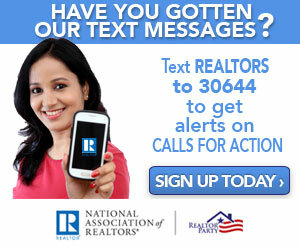 If interested in sharing this information past April 30, please contact NAR’s Strategic Alliances Team at 800-NAR-5233. REALTORS® Federal Credit Union, a Division of Northwest Federal Credit Union, now offers the official REALTOR® Credit Card. Available in partnership with NAR’s REALTOR Benefits® Program, the program features personal consumer credit and business (corporate) credit card options with a competitive APR, no annual fee, no balance transfer fee and no cash advance fee. The REALTOR Benefits® Program is the official member benefits program of the National Association of REALTORS® connecting members with discounts and special offers on products and services just for REALTORS®. Current partner listing and offer details can be found atREALTOR.org/RealtorBenefits. Be sure to follow us on Facebook. Here is a great video that gives great tips to keeping you safe!